When you renovate your home, you want to get the most bang for your buck. Not only do you want to make your home a better place for you and your family to live, but you also want your renovations to add to your home’s resale value. 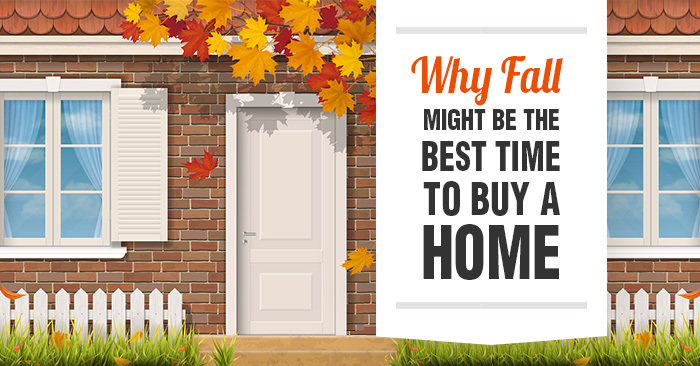 But what, exactly, are the features that will help your home sell faster? When you hire a real estate agent to sell your home, there are obvious things you notice them doing to help your house sell. Things like: hosting open houses, bringing potential buyers on home tours, and marketing your property in multiple ways to make sure it gets enough exposure. But when it comes to adding value to your home sale, that’s just the tip of the iceberg. A huge percentage of your agent’s job takes place behind-the-scenes, and they’re working around the clock to get your house sold — even when you’re not looking. When you're looking to buy a home, you may wonder, "Does it matter if the property is listed with a real estate agent or the owners who are trying to sell it themselves?" Um, yes. It matters. A lot. The truth is: When it comes to signing contracts, handing over escrow money, and digging into the home's history, going it alone can end up costing homebuyers a bundle. The following are 6 reasons to avoid a For Sale By Owner (FSBO) home. 1. Are you sure it's legit? Why Do Real Estate Agents Ask If You’re Pre-approved? Have you ever walked into an open house, or called a real estate agent about a listing, and within minutes, they’re asking you if you are “pre-approved” for a mortgage? If you haven’t, then you have never walked into an open house or called an agent. Or at least enough of them... Just wait. It’ll happen. And you’re going to feel like it’s pretty pushy for them to ask that. Thinking about listing and selling your home on your own? You might want to think again. According to the 2018 Profile of Home Buyers and Sellers from the National Association of Realtors, FSBOs (for sale by owners) only made up 7% of home sales in 2018. And for good reason! Not only can selling your home without the help of an agent cost you time, energy, and frustration throughout the process—but it can also cost you serious cash. In 2018, FSBO homes sold for a median of $200,000, a whopping $64,000 less than agent-sold homes. When homeowners are preparing to put their properties on the market, one aspect is usually foremost in their minds: money. Setting the asking price accurately can mean the difference between getting an offer quickly and having a house languish for months, drawing little interest. With that in mind, it's important that potential sellers block out a lot of the noise that often surrounds the intricate art and science of pricing. There are plenty of myths that may cause sellers to lose sleep at night as they attempt to separate fact from fiction. The following are statements that can stand in the way of a successful sale. Thanks to record low inventory and heated competition, home values have been rapidly rising in markets across the country. But according to recent data, it looks like home price growth is finally showing signs of slowing. According to recent research from Redfin, home sale prices increased just 4.7% in August, capping off six straight months of declines and delivering the lowest price growth in four years. If you're thinking about putting your house on the market, obviously you want to do everything you can to increase the value before you sell. And if you want to add to that value without breaking the bank? Try a little paint. According to Zillow's 2018 Paint Colors Analysis, which analyzed the effects different paint colors had on home values, choosing the right paint colors—and incorporating those paint colors in the right way—can make a huge difference when you list your home. When you’re selling a house, you should bake cookies before a showing or an open house. I guess you could say the answer is a hard and fast “true” because, after all, it can’t hurt. Who doesn’t like the smell of freshly baked cookies? But it’s also kind of false… It isn’t like you can Betty Crocker your way to a sale, let alone at the highest price possible. Your entire house still needs to be appealing. A batch of cookies isn’t going to hide bad odors enough or divert people’s attention from a messy house that needs repairs. Do you want to increase the chances that you get a good deal on a house when you buy one!? Of course you do. Who doesn't? But most people go about it all wrong. They think that you have to find a desperate seller, or some overlooked, underpriced home that's a steal. Sure, those are ways to get a good deal, but there are always people waiting in the wings wanting to scoop those up if and when they appear. But most aren't ready and able to do anything about it. Here are 6 tips to help you be able and ready to get those deals when you find one. 1. Be flexible with your closing date. When homeowners are preparing to put their properties on the market, one aspect is usually foremost in their minds: money. Setting the asking price accurately can mean the difference between getting an offer quickly and having a house languish for months, drawing little interest. With that in mind, it's important that potential sellers block out a lot of the noise that often surrounds the intricate art and science of pricing. There are plenty of myths that may cause sellers to lose sleep at night as they attempt to separate fact from fiction. The following are statements that can stand in the way of a successful sale. When you sell your home, you want to make sure you’re getting the best price for your property. The best way to do that is to sell when demand is high and supply is low. And if you look at supply and demand, there’s never been a better time to sell your home. According to the most recent Home Price Insights Report from CoreLogic, there are four times as many renters looking to purchase a home in the next twelve months than there are homeowners looking to sell. And as rents continue to rise around the country, the number of renters looking to transition to ownership will only increase. According to a recent report from the National Association of Realtors, home values are at an all-time high in 64% (or nearly two-thirds) of the markets across the United States. Single-family home prices increased in an astonishing 92% of markets, with 15% of metro areas seeing an increase of 10% or more. While these price increases are clearly bad news for buyers, they're excellent news for sellers—especially sellers who struggled with negative equity after the recession. But if you want to get the best deal on a home, you should probably rethink that idea. According to the most recent US Home Price Insights from CoreLogic, home prices are expected to rise 5.7% year-over-year—meaning a house you might be considering buying today will be 5.7% more expensive if you wait until this time next year to make a purchase. ©2019 Each RE/MAX office is independently owned and operated. EHO.